Includes the short story "Dracula's Guest," thought to be the omitted first chapter of Dracula. Dracula is Bram Stoker's classic gothic tale of Count Dracula, one of the most famous characters ever created in fiction, his relationship with Jonathan and Mina Harker, pursuit by Professor van Helsing and ultimate destruction in the name of love. Intent on immigrating to England, Count Dracula enlists the services of Jonathan Harker to arrange the purchase of a suitable residence. Intrigued by the young Harker and his beautiful wife, Mina, Dracula sets in motion a series of events that threatens the sanity of all. Recognized today as a horror classic, at the time of its publication in 1897 Dracula touched on and challenged such contemporary themes as the role of women in Victorian England, sexual conventions, and colonialism. Using historical and regional folklore as a basis, Stoker defined the modern vampire, and his definition continues to influence current depictions of vampires across all forms of media. 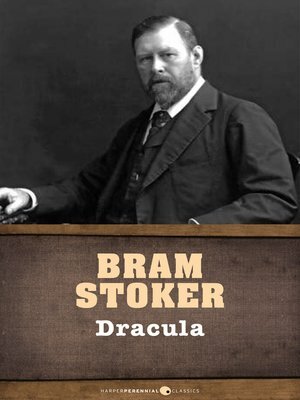 Widely believed to be the deleted first chapter of Dracula, "Dracula's Guest," taken from Bram Stoker's collection of short stories, follows an Englishman, presumed to be Jonathan Harker, on a visit to Munich en route to Transylvania. Despite warnings from his hotelier, the Englishman leaves the safety of his carriage and wanders towards an abandoned "unholy" village. "Dracula's Guest" was originally published and introduced as the "excised chapter" in Dracula's Guest and Other Weird Stories by Stoker's widow, Florence.